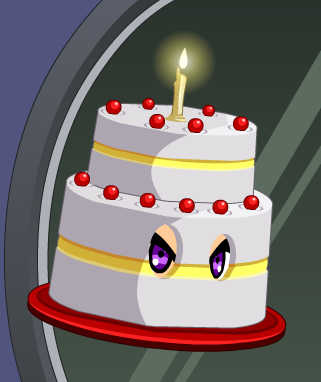 Description: You get to have your cake and wear it, too! Talk about having a "sweet" hair style. Note: This item was changed from Purple Gift Box on October 23rd, 2009. Thanks to Aero_Man64 and Lord of Thoru.